Spring training gears up next week. It&apos;s early February and I don&apos;t need a groundhog to tell me there will be six more weeks of winter or not. It is the sound of a ball hitting a mitt, the crack of a bat, fans cheering in the stands. Major League Baseball&apos;s spring training is next week, and that to me means winter is ending. Well, in Chicago we know it can last well into March and April, but in our collective minds it just makes you feel good knowing baseball is around the corner. Both Chicago teams have their bags packed; the White Sox even provided a photo opportunity for the media as the equipment trucks head west. Next Tuesday, pitchers and catchers from both clubs will be reporting to Arizona. The White Sox will go to Camelback Ranch in Glendale and the Cubs to Hohokam Park in Mesa. It is year two for both managers, Robin Ventura for the Sox and Cubs skipper Dale Sveum. The first days of camp will be a contrast for the two Chicago managers, Ventura has a staff that has not had too many additions, one major subtraction, Sveum has several new pitchers to get acquainted with the next month. Here’s a look at the some of the storylines for the pitchers and catchers of the Sox and Cubs. When the Sox were able to bring back right hand pitcher Jake Peavy to the fold, it signaled a change behind the plate. Peavy will now be throwing to catcher Tyler Flowers, who replaces the colorful veteran AJ Pierzynski. Flowers had a deep respect for his former teammate and learned from him, but he is really excited to get the job full-time. The Sox think they have enough arms to fill out their starting rotation. Peavy, Chris Sale (he said he gained 15 pounds), Gavin Floyd, Jose Quintana and rehabbing John Danks. They also have Hector Santiago to use as a reliever or a starter. Minor leaguers Nestor Molina and Dylan Axelrod will see time in camp. Ventura did lose one of his staff, bullpen coach Juan Nieves is now the pitching coach for the Red Sox. Former Sox closer Bobby Thigpen will now take over that role. He has been working in the Sox minor league system and is familar with the young arms brought up last season, Nate Jones, Addison Reed and Santiago. The first weeks of spring training is a careful process for Coach Don Cooper to prepare these arms for the 2013 season. The Cubs young catching group of Wellington Castillo (projected starter) and Steve Clevenger will get some veteran leadership with former Red Dioner Navarro. He inked a one year deal and should help the young catchers. Cub management spent time this off-season signing a few pitchers in an effort to shore up a staff that needs to have improvement after suffering through 101 losses. Former Minnesota Twin Scott Baker (coming off Tommy John surgery) and former Texas Ranger Scott Feldman signed one year deals. Edwin Jackson was given a four-year deal and this will be his eighth team in eleven years. Jackson will not be spectacular; he is durable and will pitch plenty of innings. During the Cub Convention, former Toronto Blue Jay starter/reliever Carlos Villanueva signed with the club. These new faces were added to Matt Garza, Jeff Samardzija and Travis Wood. In 2012, Garza was sidelined most of the season with an elbow injury. The bullpen work horse was Shawn Camp, but the closer job may be a battle. The team has given the job to Carlos Marmol, but keep an eye on free agent Kyuji Fujikawa of Japan. If Marmol falters or gets traded, Fujikawa may land the job. If the Cubs play like they did last season, you can expect trades will be entertained by management as they continue the rebuilding process. Major League Baseball has to squeeze in the World Baseball Classic into the spring schedule. Games begin on March 8 and the “championship” will be in San Francisco on March 19. It is kind of baseball’s way to trying to make this game more international. It never will be, since soccer is still the dominate game. However, Asia and Latin America have plenty of interest in the game. The only Cub to participate is first baseman Anthony Rizzo. He will play for Italy. He hasn’t even been to Italy, but the Rizzo said he was looking forward to the experience. The White Sox on the other hand have a few players involved with this “classic." Pitcher Jesse Crain will play for Canada, Alex Rios and Andy Gonzalez for Puerto Rico and Andre Rienzo will be on the Brazil team. Hector Santiago (smartly) rescinded his spot with the Puerto Rican club. 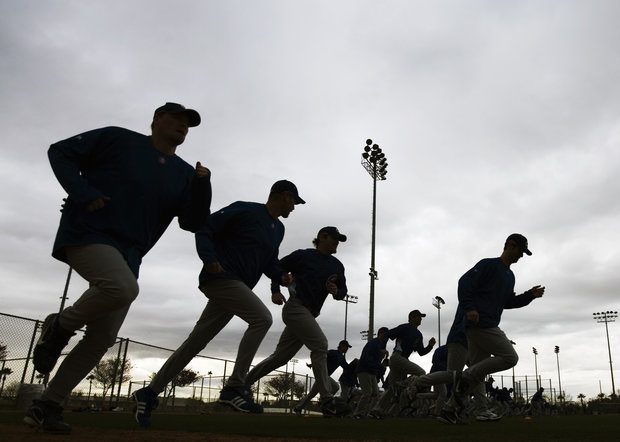 Pitchers need to be under the guidance of their team during the spring. Since Santiago’s role (as a starter or bullpen) with the Southsiders is undetermined, he needs to be under the watchful eye of the team. With snow starting to pile up this week, thinking of baseball brings spring closer to my mind.